On south side of entrance to Lake Macatawa, 1/8 mile east of South Pier Rear Range Light. Charles Morton was appointed keeper on 28 APR 1886 and was promoted to District Superintendent on 3 NOV 1898. 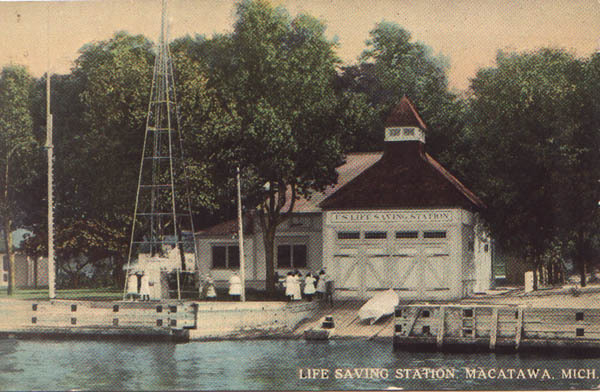 Adam N. Weckler was appointed keeper on 3 JAN 1899 and transferred to Station Ludington on 14 AUG 1900. Peter Jensen was appointed keeper on 14 AUG 1900 and transferred to Station South Haven on 18 FEB 1903. Chauncey D. Pool was appointed keeper on 18 FEB 1903 and was discharged on 26 DEC 1906. Jacob Van Wielden was appointed keeper on 11 JAN 1907 and was still serving in 1915. 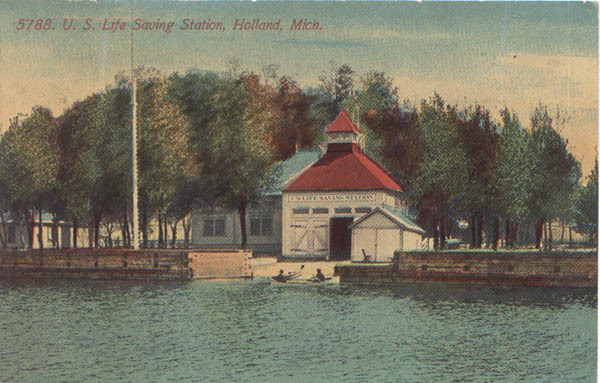 Holland Lifeboat Station was located in the Township of Park, Ottawa County, Michigan. Some land was turned over to GSA in January 1964. Later that same year, more land was transferred to the U.S. Army, Corps of Engineers. A lighthouse had been in operation since 1870. 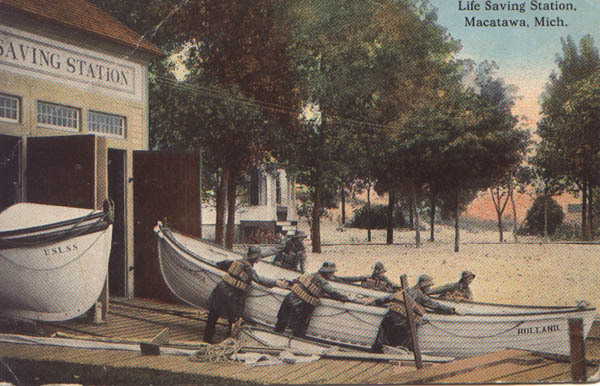 Land for the lifeboat station had been acquired in 1875 and 1884.